Hospital casualty department entrance, with an ambulance outside. 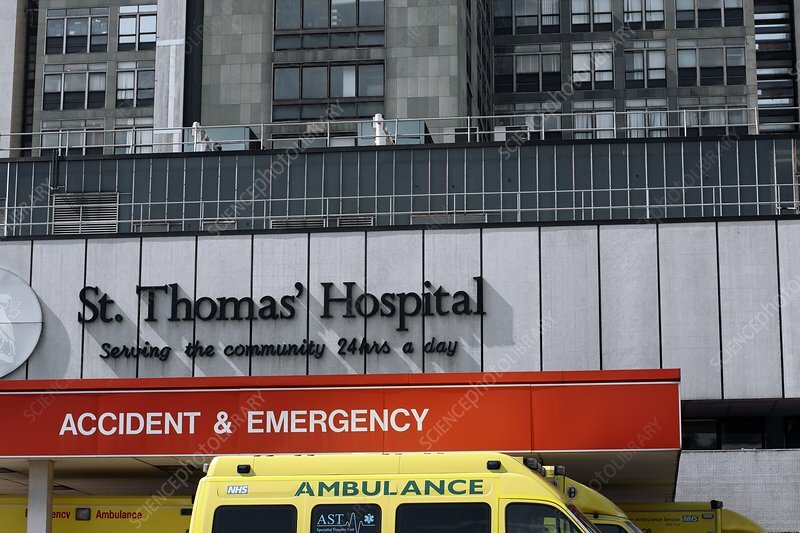 This is the entrance to the accident and emergency department at St Thomas' Hospital, London, UK. This hospital traces its origins to the 12th century, but the current Lambeth site dates from 1871. Photographed in 2011.